1998-2005 Suzuki Vitara / Escudo Service & Repair Manual download now! !here is a complete service/repair manual for 1998-2005 Suzuki Vitara / Escudo. It contains detailed instructions and step by step diagrams for all workshop procedures. you only use 1998-2005 Suzuki Vitara / Escudo Service & Repair Manual, you can fix your cars do-it-yourself in home.. It was facelifted in 2002 and again in 2004. A rebadged version was sold in North America by General Motors as the Chevrolet Tracker. 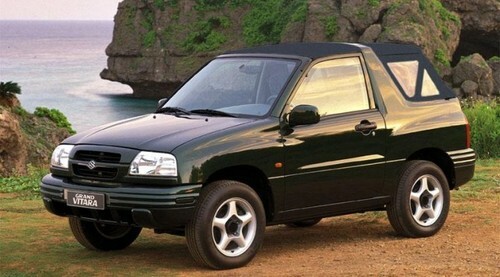 The Tracker is sold in Latin America, but Mexico, as Chevrolet Grand Vitara. In Mexico, Grand Vitara and Tracker are different vehicles, sold by Suzuki and Chevrolet respectively. In Chile, 5-door Grand Vitara is known as Grand Nomade.